With rel 3.0 coming soon, Tally is going to enter in new age. The age of collaboration. Collaboration where every body who has ability can add his apps to Tally. Collaboration where any user can download his utility he finds useful for his needs and test it for period and then buy. 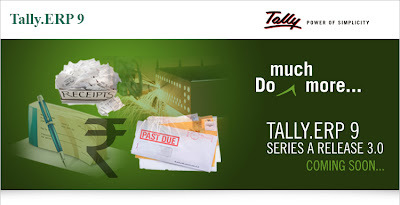 The age of collaboration where Tally is being enhanced by Tally integrators and Tally Extenders. The age of Tally Marketplace has come. How it would be beneficial to a Tally user? Tally Marketplace : It would be a place where anybody can see, evaluate and then buy any utility which he finds fit for his needs. And time would surly come when we would find these utilities free of cost as we are findings plugins for Firefox and Google chrome. Till now scenario was like if you need special utilities like c4 form or address book printing etc. you have to contact some developer and he would make it for you. But after market place is there then many developers would give same utility at different prices and user can choose cheap and best for himself. He can buy subscription for regular update. As discussed earlier also Tally.ERP 9 is coming with host of new features like Income Tax return, My Favorite, Short closure of order and Job work and multiple address for same company etc. Readers view are invited for these new features. For a fresh Copy of Software they can send me mail or Buy Online with ICICI card. When is Tally rel 3.0 coming can we dowload it now? 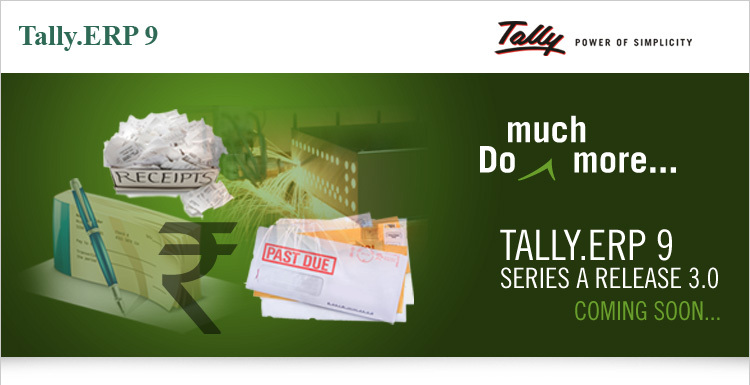 Tally .ERP 9 rel 3.0 would be available for download from 18th Feb, 2011. ApniTally would provide the link for download.